J.D. 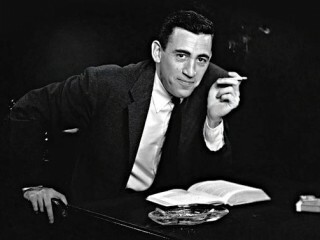 Salinger was an American author, best known for his 1951 novel The Catcher in the Rye, as well as his reclusive nature. His last original published work was in 1965; he gave his last interview in 1980. Jerome David Salinger wrote The Catcher in the Rye, the classic 20th-century novel of disaffected youth. Salinger started publishing short stories in the 1940s, in magazines like the Saturday Evening Post, Colliers and, especially, the New Yorker. The Catcher In the Rye was published in 1951, became a bestseller and remains a favorite of high school and college students. (The book tells the tale of Holden Caulfield, a troubled adolescent who leaves his fancy prep school for an urban walkabout.) Always a private man, Salinger became increasingly reclusive throughout the 1950s and eventually stopped making public appearances or statements of any kind. He retreated to his remote home in Cornish, New Hampshire, refused requests for interviews, and did not publish after 1965 -- though he reportedly continued to write into the 21st century. He died of natural causes in 2010. Salinger served in the U.S. Army in World War II and participated in the D-Day landings of 6 June 1944... He married Claire Douglas, a student at Radcliffe, in 1955. They had two children, Margaret Ann (b. 1955) and Matthew (b. 1960), and were divorced in 1965... Salinger had a love affair with author Joyce Maynard in the early 1970s, which Maynard described in her 1998 memoir At Home In the World. She auctioned her personal letters from Salinger for nearly $160,000 in 1999... Salinger attended Valley Forge Military Academy from 1934-36; it is generally considered to be the model for the school Pencey Prep in The Catcher In the Rye.